Actually, user creation is so simple. What’s more, you can set several attributes in same time. As it is seen above, -c , -m , -p , -s options are used to set various attributes. Although it seems easy and useful, clear text password usage is insecure! Let’s continue with the group object. I have created three brand new group objects.To list the groups which users belong to, groups or lid commands can be performed. As you can above, svcuser belongs to five groups while baris belongs to two groups. lid command can also be used to display the users which are member of a certain group! id command is another useful command to display group list the a particular user belongs to. usermod command is run to modify the user object. Let’s change user’s group membership by performing usermod command. 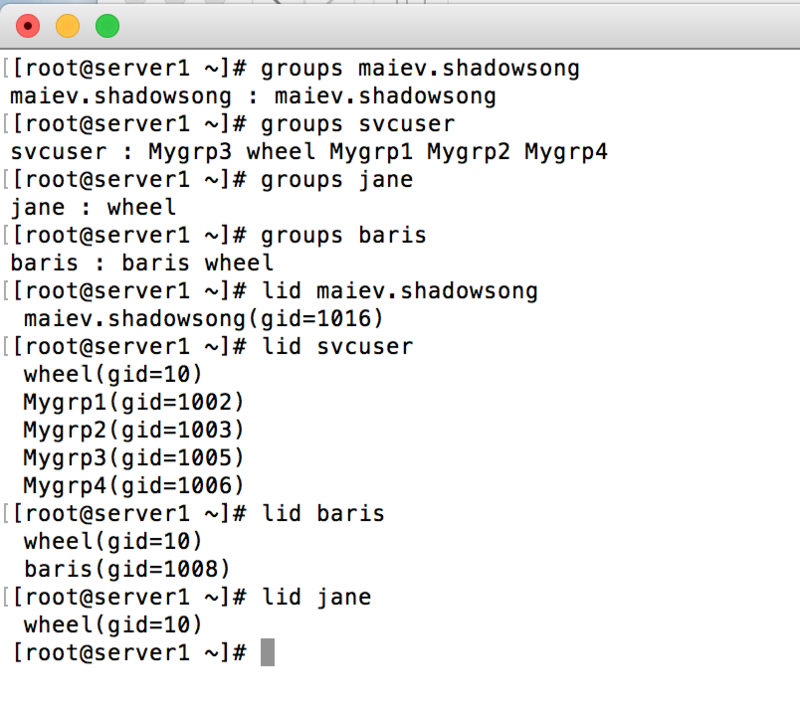 By running the command shown above, I added maiev.shadowsong user to three new groups. If you want to remove the user from one of groups , just run the command without the group object you want the user remove from. Maiev is now not a member of Mygrp3 . userdel and groupdel commands are used to delete particular objects.